The use of Cannabidiol Oil (CBD Oil) is a growing trend in the United States, with a projected market of over $24 billion by 2025 (up from $6.6 billion back in 2016). In tandem with this growing industry is a steady and notable change in the opinion about cannabis in general. CBD often is categorized with its fellow cannabinoid compound, THC. It is imperative to understand that both of these cannabinoids are entirely different compounds. While both can significantly benefit your health, CBD will not induce psychoactive effects or create a "high" that THC causes. 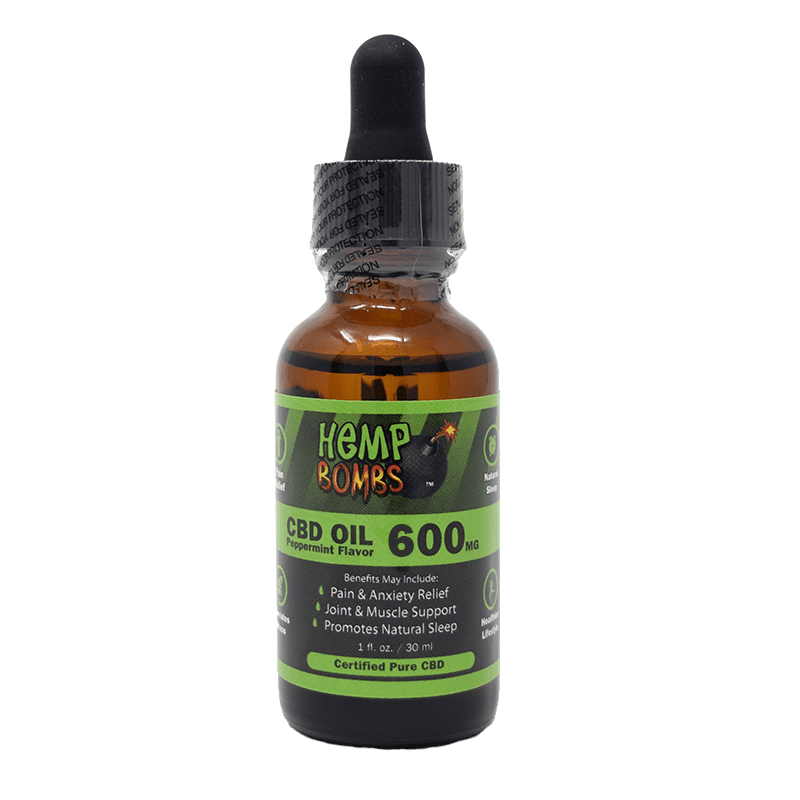 The team at Hemp Bombs takes our role as a leader in the CBD Oil industry seriously. We're happy to educate consumers about the history, legality, benefits, and uses of our CBD products so that our customers can feel knowledgeable about this innovative and relatively novel therapeutic compound. Cannabidiol Oil is a natural compound extracted from a plant known as Industrial Hemp. While there are many other compounds within Hemp (collectively known as cannabinoids), CBD is the most abundant non-psychoactive constituent—meaning it doesn't get you "high." Among the other cannabinoids found in Industrial Hemp plants include the well-known and somewhat notorious Tetrahydrocannabinol (THC), which is the main psychoactive component. When people speak of "getting high" from smoking cannabis, THC is the primary compound that helps to achieves this effect. 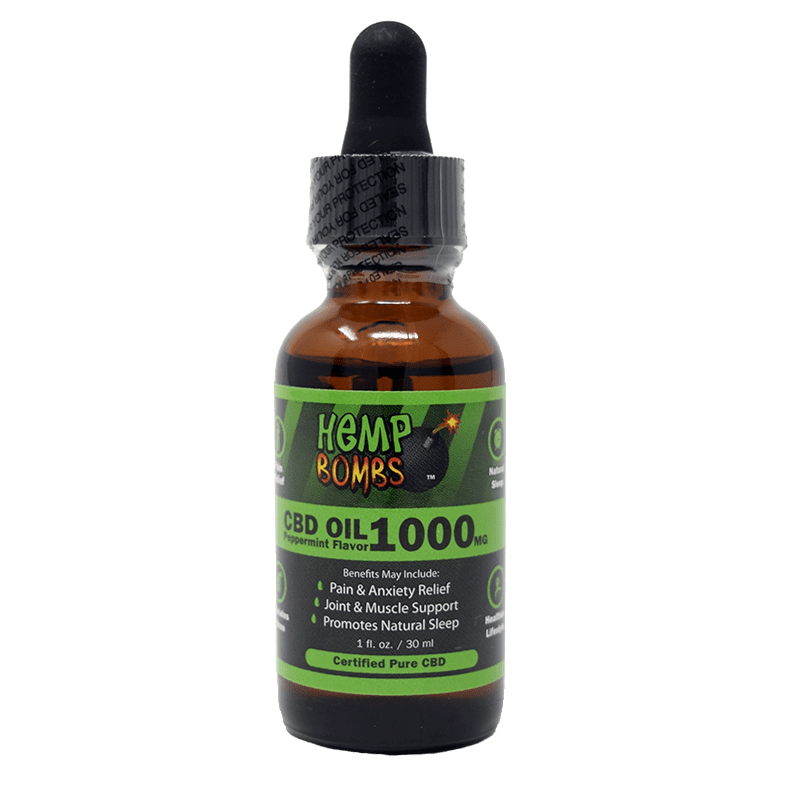 At Hemp Bombs, our CBD contains zero traces of CBD after the extraction process. CBD Oil can be attained legally by being extracted from the stalk of an Industrial Hemp plant. Your body produces its own cannabinoid compounds (so-called endogenous cannabinoids). In order to utilize these compounds effectively, your body has specific cannabinoid receptors which can intercept and interact with them. These receptors are called CB1 and CB2 receptors and are located throughout your body, including in the brain and within the immune system. Research indicates that Cannabidiol works by prompting the body to produce more of its cannabinoid compounds, which then bind and activate CB1 and CB2 receptors. When activated, these receptors can help relieve conditions such as inflammation, pain, anxiety, overall mood, sleep, appetite, and various other functions. Our customers tell us that they use CBD oil for a variety of reasons, including relaxation, skin care, sleep/wake cycle regulation, gastrointestinal and immune health, smoking cessation, anti-inflammation, and more. They often report pleasant feelings of relaxation, decreased stress, and pain relief. As with any new supplement, it's best to introduce yourself to Cannabidiol Oil slowly. 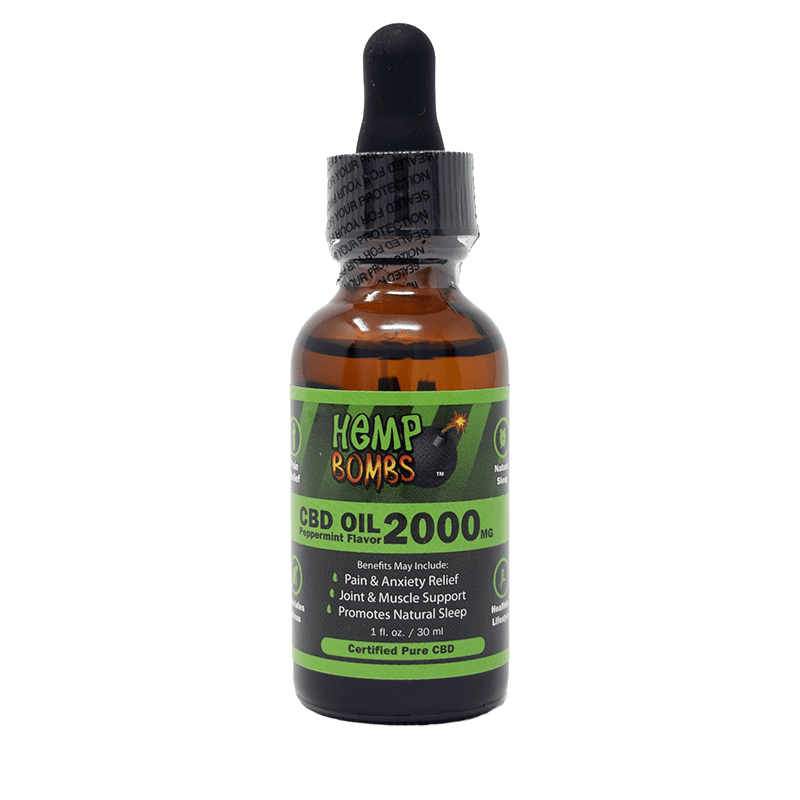 Start with 1-2 drops, and understand that you may need to modify your dose depending on factors such as age, weight, and gender, as these can influence how quickly your body metabolizes CBD oil. It may take anywhere from 30 to 90 minutes to feel a noticeable effect. If you're on any prescription medications or are living with a health condition, it's advisable to talk to your doctor about appropriate dosage for your needs. 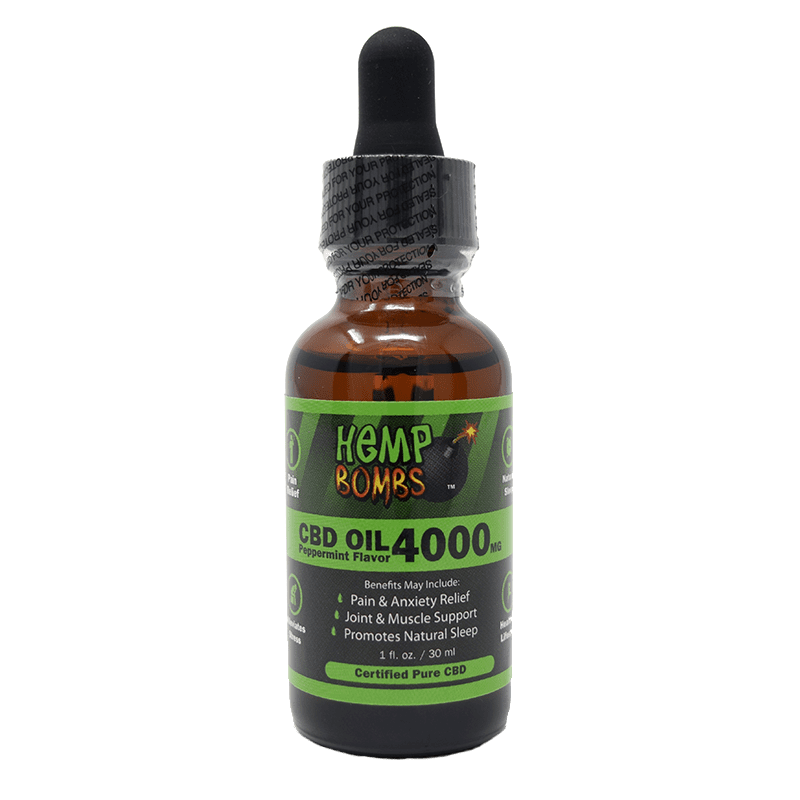 With Hemp Bombs, you can also opt to enjoy your CBD oil in your vape—or enjoy it with your intimate partner as a premium water-based gel lubricant. If you want more detailed instructions for a specific product, refer to the instructions on the packaging. With the recent news about the legalization of marijuana in Canada, many of our customers have been asking us about the differences between marijuana and hemp. The truth is, marijuana and hemp are two versions of the same species of Cannabis sativa. Incidentally, two other types of cannabis plants exist, including Cannabis indica and Cannabis ruderalis. All these different species of cannabis have different ratios of cannabinoid compounds, including THC and CBD. Despite being the same plant species, however, there is a crucial difference between hemp and marijuana. Cannabis sativa can be classified as marijuana or "weed" when it contains more than 0.3 percent of THC. Many marijuana growers have specially bred their plants over the years to contain higher concentrations of THC to deliver a more potent psychoactive effect. Conversely, Hemp is any variety of Cannabis sativa containing less than 0.3 percent THC. Growers have rarely modified Industrial Hemp. CBD Oil derived from Industrial Hemp is legal throughout America, although at least 17 states have passed laws regarding this compound. In the 30 states where marijuana is legal (for either medicinal or recreational purposes), CBD Oil can also be derived from cannabis. Hemp Bombs uses premium-grade, organic Industrial Hemp cultivated by US-based growers to derive the Cannabidiol Oil used in our products. Sourcing from the highest quality ingredients ensures maximum potency and effectiveness. The Cannabidiol Oil market is a fast-growing industry, with some companies cutting corners and settling for inferior-grade products to keep up with the demand. But here at Hemp Bombs, we do things a little differently. To use 99% pure CBD isolate — lab-tested to ensure it contains no other cannabinoids like THC—for maximum potency without getting you "high." Our team is proud to be part of one of the leading CBD companies in the industry and are committed to offering some of the purest CBD Oil available on the market today. We provide all our customers a 30-day money back guarantee and are here to answer your questions! Ready to experience what Cannabidiol Oil can do for you? Contact us now to learn more about our products or browse our selection online.